OVERVIEW Strong, Responsive Hickory Medium Tapers Round Nylon Beads Length: 1..
OVERVIEW Strong, Responsive Hickory Medium Tapers Large Taj Majal Beads Lengt..
OVERVIEW Save by Buying Bundled! 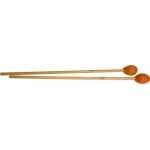 Includes 2 Pairs of Marimba and Vibe Mallets Va..
OVERVIEW Marimba Mallets Xylophone Mallets Timpani Mallets Snare Drum Sticks ..
OVERVIEW Save by Buying Bundled! Includes Marimba, Xylophone/bell, and Snare Drum S..
OVERVIEW Soft Rubber Heads Painted Birch Shafts Extra Attack and Volume Great..
OVERVIEW Strong, Responsive Hickory Short Tapers Round Beads Length: 17" D..
OVERVIEW Strong, Responsive Hickory Long Tapers Oval Beads Length: 17" Dia..
OVERVIEW Strong, Responsive Hickory Short Tapers Oval Nylon Beads Length: 17"..
OVERVIEW Strong, Responsive Hickory Long Tapers Teardrop Beads Length: 17" ..
Mallets for Vibraphone Model: VR5 Shaft made of maple Design: "soft" Length: 432 mm Pr..
Mallet for Vibraphone Model VR1 Shaft made of rattan Hard Length: 432 mm Pair ..
Mallets for Marimba Model R12 Pair of mallets from the Robert van Sice series Rubber core ..
Mallets for marimba Model R11 From the Robert van Sice series Rubber core Shaft made of ..
Marimba Mallet Adams MB3, Maple, Medium hard Specificaties Mallet Hardness Har..
Beaters for Xylophone Handle made of birch wood Hardness: Medium 1 Pair ​ Further ..
Mallets for Xylophone Shaft made of birch wood Hardness: Hard 1 Pair ​ Further inf..
Large white soft pile, hard felt inner core wrapped in layers of medium felt, hard maple handle. T..
Ludwig Marching Mallets incorporate shafts that are made from aircraft grade aluminum for maximum du..
Ludwig L2323 Marching Bass Drum Mallet w/ Strap, Large Ball No Stripe, Single Aluminum handles.. 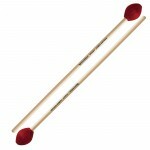 SPECIFICATIONS Name Ludwig Large Layered Felt Ball Marching Bass Drum Mallets .. 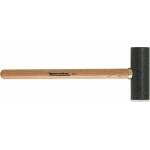 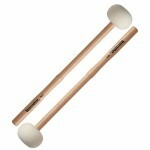 The Innovative Percussion CC-1 is a great general chime mallet. 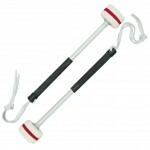 It offers a little more weight on th.. 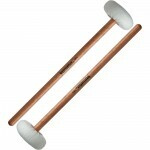 The Field Series Timpani Mallets are constructed using solid red oak handles for excellent balance a.. 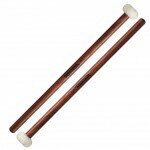 The unique feel and balance of the Concert Series Timpani Mallets is created through the use of rich.. 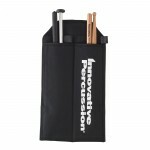 The Innovative Percussion Large Cordura Mallet Tour Bag features 16 interior pockets to comfortably .. 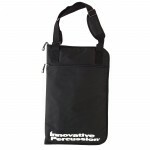 The Innovative Percussion Small Cordura Mallet Tour Bag, constructed of durable cordura, can hold up.. 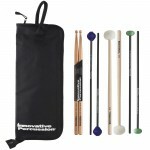 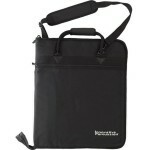 The Innovative Percussion Marching Stick Bag (2 Pairs) is made of high quality cordura, attaches eas.. 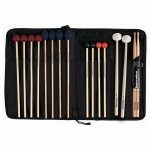 The Innovative Percussion Marching Stick Bag (1 Pair) is made of high quality cordura, attaches easi.. 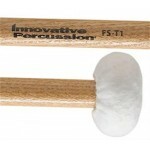 The IP Field Series Marching Bass Drum Mallets feature a unique and innovative "fulcrum notched" hea.. 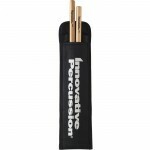 Innovative Percussion's CB-5 Bass Drum Rollers have cartwheel style heads and felt liners that produ.. 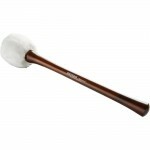 The Concert Series Gong Mallets are constructed with a similar design to the concert bass drum malle.. Designed for vibraphonist and mallet specialist Anders Astrand, the Rattan Series Anders Astrand AA3.. 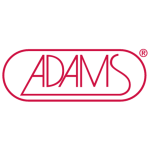 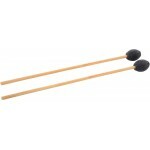 Innovative Percussion AA25 Medium Vibraphone/Marimba Mallets feature medium mushroom rubber cores, t.. 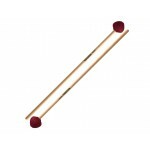 The Rattan Series Anders strand AA20 medium soft vibraphone mallets are in the Innovative Percussion.. 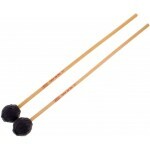 The Innovative Percussion Rattan Series RS301 hard cord vibraphone mallets feature mushroom shaped r.. 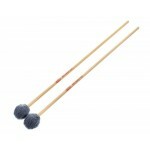 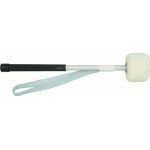 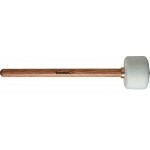 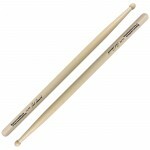 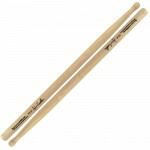 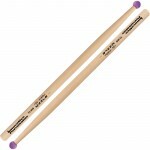 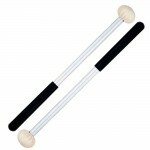 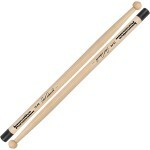 The Innovative Percussion Rattan Series RS251 medium cord vibraphone mallets feature mushroom shaped.. 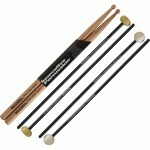 The Innovative Percussion James Ancona Series mallets are designed for all marching ensembles: indoo.. 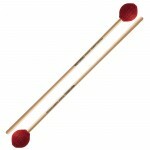 The Fundamental Series F6 hard cord vibraphone mallets offer the same dependability expected from In..